This news site had first and accurately reported about the escape yesterday. 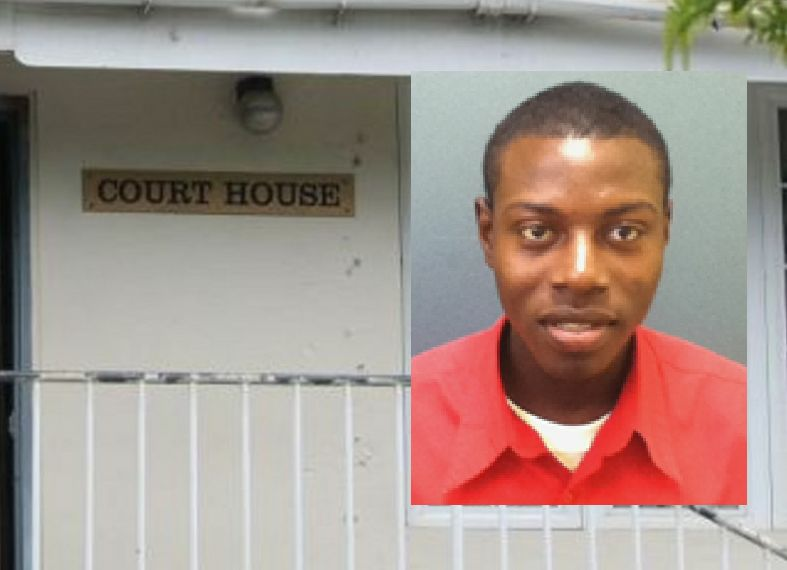 According to reports, Richards was apprehended in the vicinity of his mother's residence in Lambert Estate some time around 5: 00 P.M. today September, 2016. Police Information Officer Diane Drayton also confirmed our information via email. "Update to press release - Prisoner was recaptured," Drayton briefly stated in the email this evening. 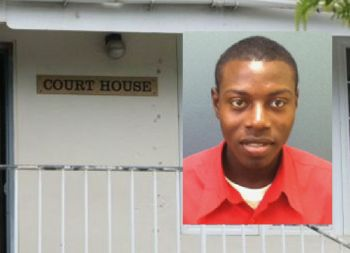 Virgin Islands News Online had earlier reported that Richards had a history of escaping lawful custody. The man who escaped custody at Her Majesty’s Prison at Balsam Ghut yesterday September 6, 2016 had been remanded to prison the same day, according to information reaching this news site. Our sources gave the man's name as Edrino Richards aka Eddie and Mr Escape. But, according to one of the sources close to HM Prison, the individual has a history of escaping lawful custody. 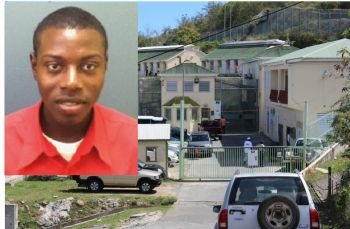 It is alleged that on a previous occasion, while in custody of the Royal Virgin Islands Police Force (RVIPF), Richards escaped and was not recaptured until approximately one week later. In yesterday’s instance, this news site understands that the man was taken to HMP after being remanded at the Magistrate’s Court. It’s alleged that he “timed the prison officers’ movements” and jumped over the gate at the entrance of the prison and sped down a hill. It is alleged that only one officer was at at the location at the time and he could not immediately give chase. The escape reportedly occurred sometime around 5:00 P.M.
Prison officials continue to remain tight-lipped while Superintendent of Prisons, Mr David Foot could not be reached for comments. Meanwhile, the Royal Virgin Islands Police Force (RVIPF) in a press release today, September 7, 2016, said searches conducted around the compound of HM Prison so far have proven futile. It further said Richards, 23 years, is dark brown in complexion, short black hair, brown eyes, approximately 130 pounds and 5’8 in height. He goes by the alias ‘Mr Escape’. "Intelligence suggests that Edrino Richards frequents the Balsam Ghut and East End areas. After his recent escape from police custody he was reportedly hiding out at his mother’s residence in Lambert Estate. Anyone knowing the whereabouts of Edrino Richards is asked to a contact the RVIPF Intelligence Unit at 368-9339." Word reaching our newsroom from our team of reporters around the Virgin Islands is that sometime after 5:00 P.M. today September 6, 2016 a male prisoner housed at the only government correctional facility on the main island of Tortola escaped. The circumstances surrounding the inmate escaping is unknown at this time. When the prisoner was discovered missing it immediately caused an early lock-down at Her Majesty’s Prison (HMP) at Balsam Ghut. Police and Prison Officials are tight-lipped on the matter and it’s unclear if the National Security Council was even briefed on the matter, or the security implications for the public. In the last 48 hours HMP, headed by United Kingdom National David Foot has been in the news over a prisoner lighting his cell on fire. It is also reported that a few weeks ago an inmate had a physical altercation with a Prison Officer that caused injuries to the Prison Officer. Police Information Officer Diane Drayton did not respond to our queries up to publication time. We will bring more details as the story unfolds. I wonder why a prisoner would want to escape, there must be a reason...because they Cant hide for long... Only if they have a mission to accomplish or want to kool their Axxss off from the fire..
Police and Prison Officials are tight-lipped? So how they expect the community to help? we need to see a photo of the inmate or get a name so we can alert officials if sighted. That inmate can walk pass anyone and we would not know. AN ESCAPE PRISIONER AND IT IS A SECRET I NEVER HEARD ANY THING LIKE THAT BEFORE ALL OVER THE WORLD THE FIRST THING THEY DO IS SHOW FACES AND THESE ////// IS KEEPING SECRET. IF HE DAMAGE SOME ONE OR EVEN WORST KILL WHAT WILL THEY DOOR SAY TO THE PUBLIC . WHERE IS PEOPLE WITH COMMON SENSE ON THE PRISON BOARD .I THINK THIS ONE IS A BAD DREAM .I GONE IN A TRANCE WHEN I GET OUT OF IT I WILL GIVE ANOTHER COMMENT. The public need a picture. The man could pass right by my home and I wouldn't know who he is. I am not going in my garden or sitting on my porch untill he is caught. Time to stay inside with my dog and the dead bolt locks untill he is caught. This BVI is so UNPROFESSIONAL man.... we have a FUGITIVE and you telling me that you would not put his Name and picture on the news to caution the public to stay away from a dangerous criminal. What's the logic of putting up this as breaking news? "This BVI is so UNPROFESSIONAL".....does that include you? So how we are going to know who he is to turn him in? We need a photo now, not next week. Maybe them waiting until he leaves the country? The man probably hear Hazem Shoe Store on fire so he coming to see what he can get lol. Here we go again, in less than twenty four (24) hours another incident at that institution. Its really time for a change in management and some disciplinary action be taken. Only then would the staff there take things seriously. Too many inmates are roaming the premises at one time, thereby out numbered the skeleton staff. Here is an observation for the powers to be consider. Deceased Supt Holder went at HMP and made a big difference, god forbid his life was cut short. We now have four (4) capable retired police officers in Baltimore, Dave Vanterpool, Kedrickson Shepherd and Headley, all competent person. How about the authority, reactivating the services of those fine gentlemen to help bring back some form of discipline and stability at that place. It will be a formidable team of men I can assure you, because the existing staff has proven their incompetency's quite too often. Save that place and act now. This is why it is said that Tortola (government) people backwards. Anywhere else in the world when a prisoner escapes, every news site is on it all day and night long with mame, pictures and warnings. But not Tortola. Breaking news is out that a prisoner escapes , but its a bigger secret of who he his, and what he looks like but they want help from the public to be on the look out. Please explain this one piece of sensible logic to me. Unless he has help, he may be looking in our homes for food and money and whatever else he needs when we out to work or there sleeping, then walking next to me in town smiling. Ridiculous. God help us all here in this place. Do we take mugshots in the BVI ? if so why isn't is mugshot up ..
No you see him now u don't....idk what do he on a real, was normal in school...them all kinda thing bout lord savior Jesus Christ...white girl? Dude, ain't nobody going to put there self out there for your stupidness. And, if they do it is going to cost you big $$$$. WAAAAAAIIIIT I give this cat a ride down Fort Hill last night ...I mean I was kind of tight I should have known when he said thanks you save my life. I was like its just a ride dude. I know it must be eerie knowing that you gave an escaped prisoner a ride but your post has me rolling. Lol "it's just a ride dude"
This guy is mentally sick..He needs help..Prison is not the proper institute for him..An asylum would have been more appropiate. Well we were offered a prison and say " wi nuh want it ! "! prison break move you say! Apparently, he need to work on his hiding skills too (just saying). You escaping all the time and them keep catching you, but what is this at all?? Glad they caught him though! Me son, stop running you just making thing harder for yourself. Edrino was a real smart guy, bearly used to come school but scoring A's and such. Guy was just easily influenced and went down the wrong path, the guy needed help. He needs help. Jail is not the proper option for him. Partner sick bad,talks lots of stup.This place needs an institution.